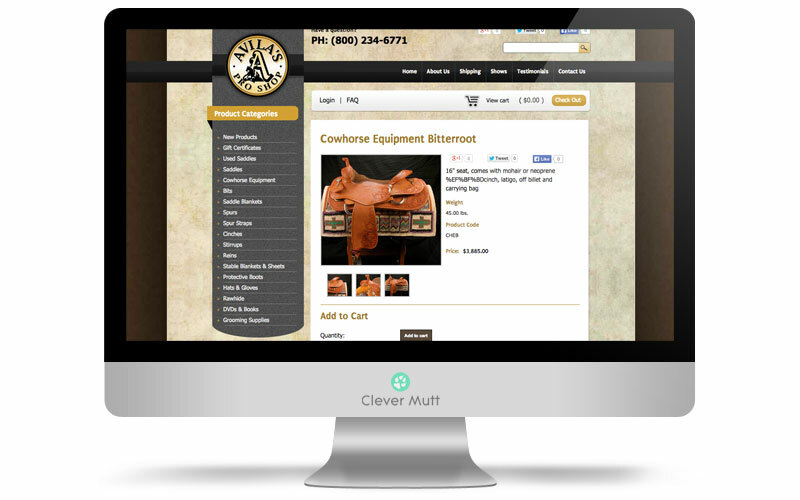 "Thanks again for being there! 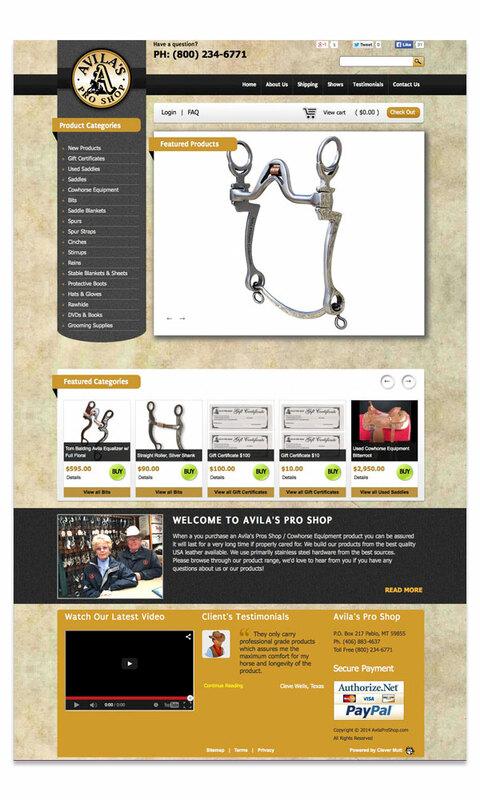 This is why we went with you guys"
Avila's Pro Shop / Cowhorse Equipment hired Clever Mutt™ to replace their aging website. 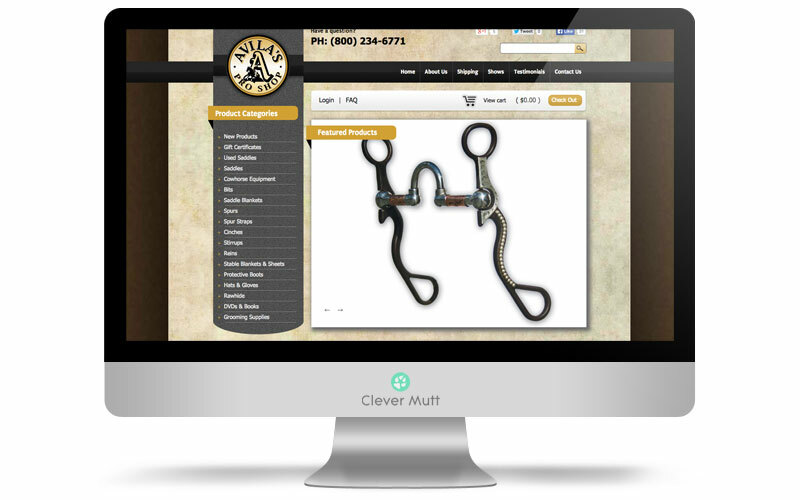 We created a new, unique design for them, with integrated e-commerce store, self management through the Clever Mutt™ Portal web content management system and email marketing with Clever Mutt™ Mail.